After a lifetime of simply eating delicious food, Kamini (pronounced like harmony with a ‘K’) only really stepped up to the plate when she was 18. She was incredibly uninspired by her Bachelor of Commerce, feeling that it lacked the creativity that she craved, and started messing around with eggs in the morning. After testing out the effect that milk or cream had on the eggs, she moved on to cooking them on high heat or low. She then started googling recipes to test out her new found obsession. Little did she know that this was the start of her creative journey. Her love for food translated into a career within the food media sphere when she started showcasing her work through a blog. She’s an intensely visual being and used that talent to teach herself how to wield a camera, which only added to her food blogging skill. She has also been hosting a weekly radio show where she honed in her craft as an entertainer and communicator. After cooking and eating her way through her early adulthood, she entered the second season of MasterChef SA. She won a total of 5 challenges and was a notable force from the get-go. She impressed the SA Culinary Olympic Team, Hallie Gebrselassie who wanted to finish every morsel she had prepared for him, as well as recreated a Luke Dale Roberts dish to perfection. The entire experience spoke to the most powerful part of herself, the part that felt in control and focussed in the kitchen. She approached the show with her unique brand of quirk and could’ve been awarded the One-Liner Prize, if it existed. She comes across in a sophisticated but inclusive manner, with a laser-like focus and poise that she admits to have only really found in the kitchen. 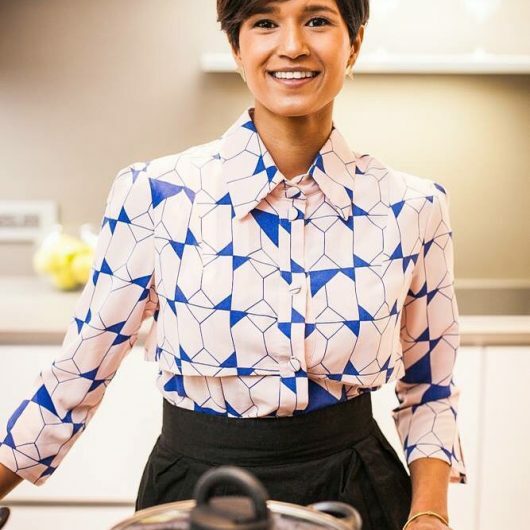 Kamini won the title of MasterChef SA in September 2013 and has since been living her food dream, which includes creating visual editorial for both print and digital and being centre stage at food festivals by inspiring people to cook through hands on demo’s and personable interaction. It seems that the TV bug has bitten this cook and the desire to foster a career in this arena seems to be consuming her world. This MasterChef winner has found an immense amount of strength, focus and power through food. The premise of her work stems from a sincere want to enable people to find their strength, to eat better and make better choices by connecting those that can cook, with those who can’t (yet). – won SA Style Award for The Next Big Thing.